Issue 233 of SFX Magazine is out and in-store ready for you to purchase! Featuring a great cover with Jenna-Louise Coleman and Matt Smith as their characters, Clara Oswald and The Doctor. It is available in Physical and Online copies, on the AppStore Newsstand and the Google Play store! 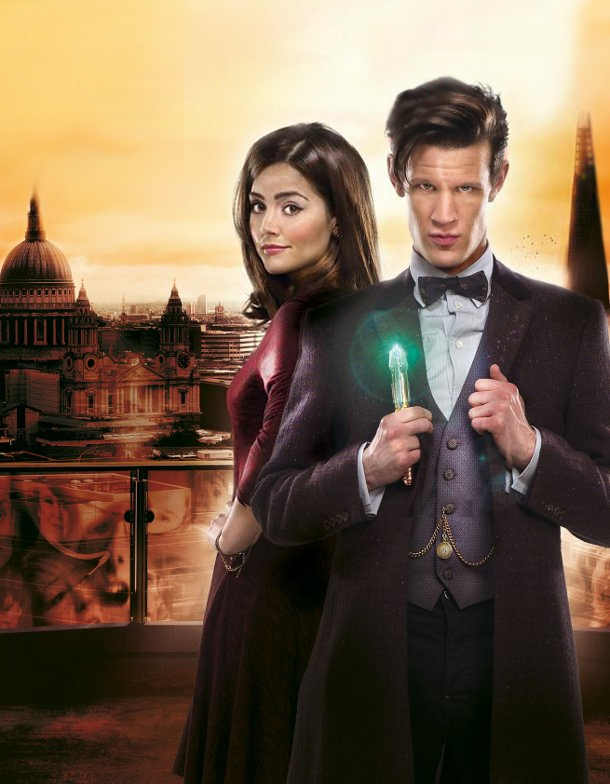 Giving an insight into the companion, Clara, that Jenna-Louise Coleman is set to place and spoilers relating to the brand new series and 50th anniversary. Although a slightly clearer version is sent out to Subscribers of SFX, I have edited the cover so it doesn't possess the 'SFX' heading, which you can see below - what do you think? Anything you notice that catches your eyes...or faces you might ask?